Students from Wake Forest’s Schools of Divinity, Law and Medicine will travel to Nicaragua during spring break for a cross-disciplinary course focusing on professional development. 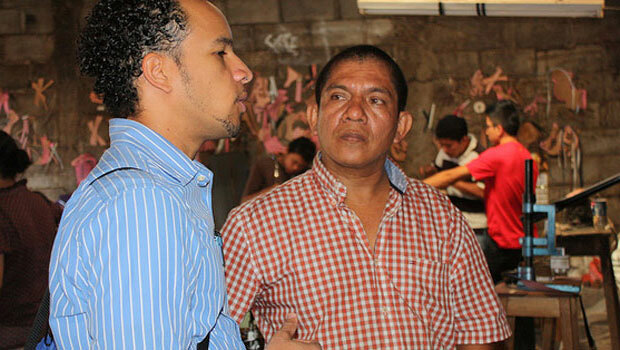 The course is co-taught in Managua with faculty from each of the schools. Through seminars, field work and service opportunities, students will explore what it means to be a member of the professional class and how this meaning is formed through training and practice. Students will work with Nicaraguan partners to help solve social, economic, environmental and healthcare challenges in that country. This trip is not focused on service specifically. Instead, Virgil says it is an opportunity for professional school students to recognize the power they have to use their knowledge to help improve the lives of people living in other parts of the world. A Wake Forest delegation traveled to Managua, Nicaragua, for the Casa Dingledine dedication on Feb. 23-26, 2011. Read first-hand accounts by Wake Forest Fellow Rachel Cook and Dean of the Z. Smith Reynolds Library Lynn Sutton. Video interviews and photos are coming soon. While in Nicaragua, students will have access to resources available in Wake Forest’s newest international facility, Casa Dingledine. Located in Managua, Wake Forest purchased Casa Dingledine with a generous financial donation from Tom and Karyn Dingledine. Tom Dingledine earned his MBA at Wake Forest in 1978. Interest in developing a Nicaragua program began in 2006 when then MBA student Chris Yuko, who graduated in 2009, worked to coordinate a plan to help entrepreneurs in Nicaragua—a country in which Yuko had developed an interest in after spending time there. In March 2007, 18 students participated in “Project Nicaragua,” spending spring break providing local entrepreneurs in Managua with information on basic, sustainable business practices. Business students continue to lead these week-long seminars and consultations during winter, spring and summer breaks. Over 150 Nicaraguan business owners have attended at least one of the seminars and over 200 jobs have been created by these businesses. • A week-long summer program launched by the Provost’s Office for Global Affairs called LENS (Learning, Experiencing, Navigating, Solving) designed to prepare Nicaraguan high school students for leadership roles in business and society. • Students from the Graduate School of Arts and Sciences studied with their undergraduate counterparts on a course offered by the biology department focusing on tropical conservation that culminated in a week of study at a biological field station in Nicaragua during spring break.